There is no recognized publicly available birth time for Ronald Reagan. Neither his State of Illinois Birth Certificate nor his mother's family Bible mention Ronald Reagan's time of birth. There is some mention in the records of family members that birth occurred just before sunrise. Having almost no fear of death, Mula engage in self-destructive behavior. Patriarchal sponsors and patronage may be essential to their success. Mula gentlemen are found in the worlds of religious preaching, inspirational guidance, cults of belief, ideological indoctrination, radical military, politics, and organized crime. POTUS-40 American Life 1911-2004 Ronald Reagan had a doctrinally-identified mother for whom her church and its teachings were as central as her love for her sons. She stabilized the effect of Reagan's irregularly employed, alcoholic father with the support from her religious congregation and arranged for Ron to attend a college (foundations) sponsored by her church. Saravali Ch. 45, shloka 12-14 "Mars placed in friendly sign will make one protect the wealth of friends. " Dad was an Irish-American Roman Catholic travelling shoe salesman with a noted alcohol problem. Observers noticed domestic violence, irregular employment, and insufficient family funds. However dad was at home occasionally and known to his sons. Surya's ruler Shani + Rahu + Chandra-5 suggests a complex father who may himself have had political aspirations. Although Surya is weakened in Makara-2 which is controlled by Surya enemies Shani + Zukra, nevertheless Surya-Makara-Draco receives a powerful regulating, enduring, hard-working 10th-drishti from Surya's ruler nichha-Shani-5 politics . 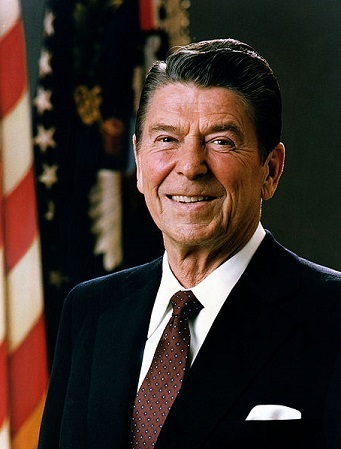 A classic Mula personality, Reagan experienced increasing success not by promoting his own ideas but rather by his ability to enunciate the corporate talking points. Surya-2 in 10th-from-Chandra suggests that Reagan's political intelligence (Surya) was concentrated in his All-American face, voice, mouth, teeth, thick dark hair, and square jaw. From a psychic perspective, Reagan -- like Lincoln -- is considered to be a walk-in. According to the story, the original person was not happy with the current life unfolding, becomes suicidal, and offers the body-identity to a transient agent. Similar to Lincoln's task to end the Civil War and abolish slavery, this agent had a crucial task: to collapse the USSR. The transient agent occupied the body successfully. From a basis of zero political experience, Reagan was resoundingly elected to two terms as California Governor, followed by two terms as POTUS-40. His personal diaries for those sixteen years of elite governance empowerment are filled with dribble such as "made a few telephone calls today", indicating that he was not making conscious executive decisions, and he had minimal understanding of what was happening around him. He did what he was told, and looked good doing it. The Berlin Wall fell. Once the primary mission was accomplished, his mentality gradually dissolved. In the final years of the second term, and following the exit of the guest agent, the identity-less body vegetated in a prolonged state of deep dementia until the organic systems finally ceased functioning. Chandra-Bharani has a need to acquire treasuries. 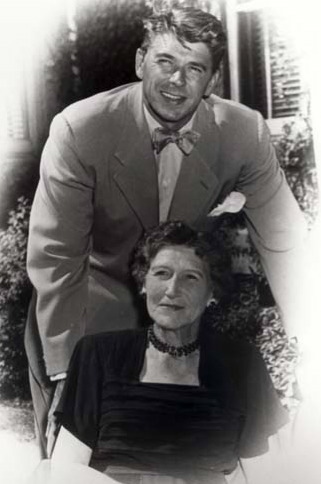 Reagan claimed to have been devoted to his mother, but she could not have been an easy parent. Nelle Wilson Reagan was a powerful influence in her younger son's life. An Irish-American housewife and amateur dramatist Chandra in classroom-5 , Nell was deeply involved in her Disciples of Christ religious congregation, participating in church management and communications. Randhresha matrikaraka Chandra occupies bhava-5 = Mom was an enthusiastic dramatist in local theatre who earned pleasant reviews in the local newspapers for her work in local theatre productions. Somana-yuti-Shani-nichha would suggest that mom demanded social status and Somana-yuti-Rahu- would suggest that while she was enforcing the rules (Shani) she was also breaking the rules (Rahu). Mom would have been passionate (Rahu) about social mobility (Shani hierarchies) via financial achievement (Bharani). Mom was a force of nature. Adding complexity to the mother's character, the harsh emotional withholding and disciplinary implications of nishturabhashi yoga = significantly relieved via Guru-in-mutual-drishti-with Chandra-5. Zukra-3 in the gainful 11th-from-Chandra suggests that Reagan could form fruitful friendships with women. She may have been an intensely demanding parent, but as adults, Reagan and his mom were friends. Elder brother and only sibling Neil Reagan = represented by Ronald's Zukra-3-Kumbha = 11th-from-Chandra. Neil Reagan earned a bachelor's degree in economics (Zukra-Kumbha) from Eureka College This was the college of his mom's faith congregation = 11th-from-Chandra = Kumbha-Zukra. 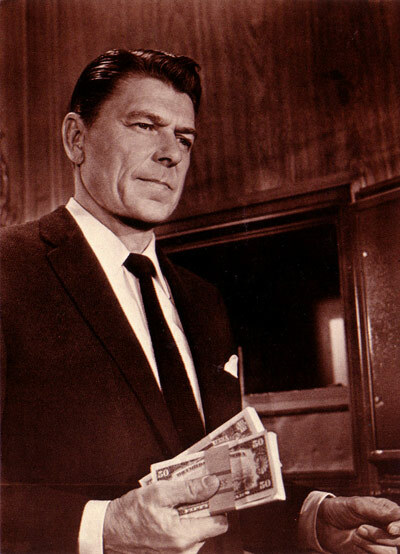 Like Ron, the older brother Neil Reagan started a radio management career (3) in the Midwest. Neil then followed Ron to Southern California, where both men developed materially successful careers in radio and television production. Somana-yuti-Rahu mutual drishti with Guru-yuti-Ketu, compounded by nishturabhashi Shani . Generally the more graha which are aligned upon the R-K axis, the more one experiences the volatility of the attraction-repulsion polarity of R-K.
Somana-opposite-Ketu indicates apathy toward the numerous partnerships, but Guru makes them numerous, and Rahu makes them passionate, and Shani makes them socially ordered. Whew. Nichha-Shani often indicates an akashic history of blood feuds or racism. Reagan grew up in an Illinois era when Irish persons were denigrated (as shiftless alcoholics) by the previous wave of Scandi-German settlers. At least unconsciously a feeling of social inferiority would have contributed to his later expedient (Rahu) bonding with the controlling interests of the super-wealthy industrialists of his era. Emotionally attracted to scenes of secrecy and hidden assets. Financially soothed Chandra-Bharani is made risk-rewarding by Rahu AND Chandra is disciplined, formalized, regulated by Shani. Relentless emotional need for social approval characterizes nishturabhashi yoga. while Shani rules 10th-from-Chandra. For the Chandra-Meza nativity, the first marriage (Thula) and second marriage (Vrishabha) are both ruled by Zukra. Therefore the condition of Zukra is paramount in determining the happiness of married life. For Reagan, Zukra-Kumbha-Satataraka in bhava-3 is well-disposed by bhava, by rashi, by nakshatra, and by angle from 11-Thula + from-6-Vrishabha. Therefore equity and harmony in the first two marriages is generally assured. 2nd-from-7th-from-Chandra-5 = second marriage-mate = Vrishabha bhava-6 . 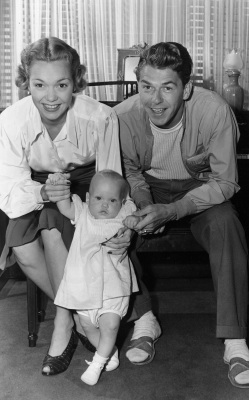 Mr. Reagan addressed his nursing-service second wife as Mommy. Their marriage was long-lasting and loyal but non-exclusive (6 dissolved vows). 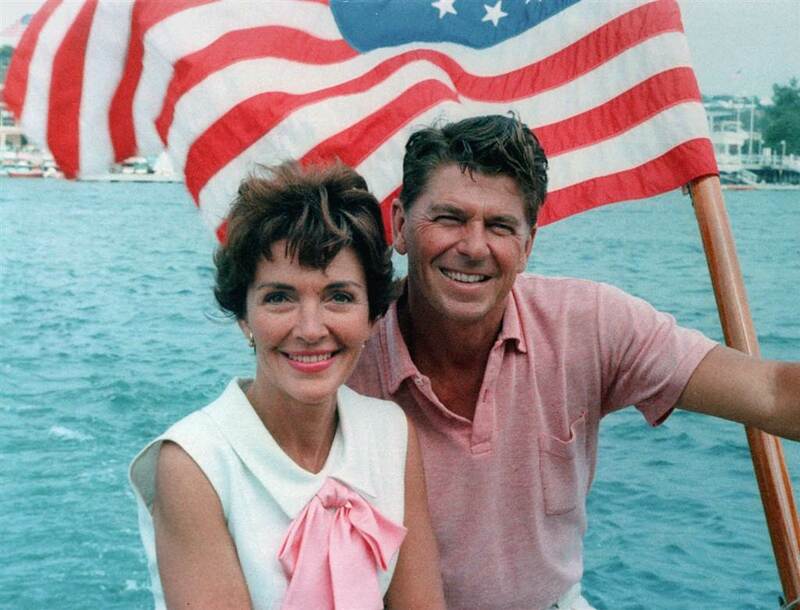 Nancy Davis Reagan functioned as a soberly nurturing caretaker (her Karkata swamsha) Mr. Reagan accepted her tender care (her Chandra-Karkata-4). Emotionally compatibility of the second marriage = 4-10 angle by rashi = favorable for dignity of public life, but less aligned personally. The husband with money-minded, values-conserving Chandra-Bharani-Meza is mutually respectful with the wife-2 with Nancy Reagan's philosophical, broad-scope, inclusive Chandra in Punarvasu.-Karkata. During the final POTUS-40 years coinciding with her protective Chandra Mahadasha, he slowly slipped into the Alzheimer's brain ailment (his Shani-Mesha brain). 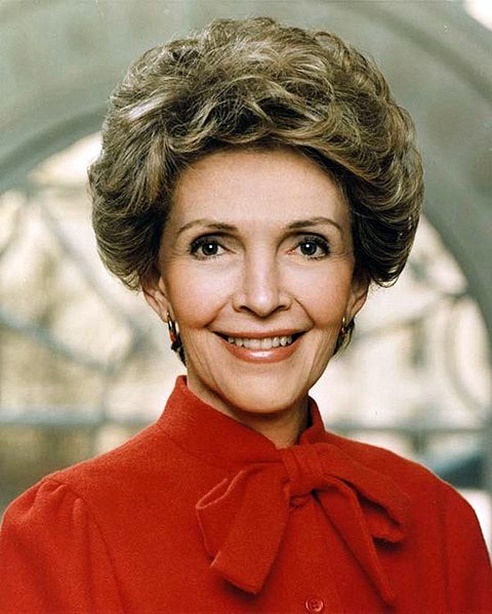 Nancy Reagan worked assiduously to protect her ill and elderly husband from public scrutiny. Rahu-5 drishti to Mangala-1 + karmesha Budha-1. Reagan's style was always warm, alive, and pulsing with physical energy. He was witty, fun, and a master of the clever repartee (Budha). In 1966 his age 55 during Guru-Budha bhukti (Budha karmesha) with absolutely no political experience, Mr. Reagan was tapped by super-wealthy corporate sponsors to deliver the message. Formerly a minor cinema actor, the head of the screen actors guild, and then a television advertising prompt-reader, Reagan catapulted to the California Governorship from incredibly unlikely beginnings. Yet it becomes likelier if the role of Nancy Davis Reagan's Republican kingmaker stepfather is appreciated. Nancy's parents were exceptionally well connected politically. They had been close friends (11) of POTUS-34 Interstate Highways 1890-1969 Dwight D. Eisenhower and POTUS-pair-34 Military Families 1896-1979 Mamie Doud Eisenhower . Dr. Loyal Davis is represented in Reagan's nativity by the 8th-from-8th-from-9th from Vrishabha (2nd-from-Chandra marriage-2) because Dr. Davis is Nancy's third father (see her nativity below). Dr. Davis the Kingmaker = Ronald Reagan's political powerhouse Meza-5. Due to a weakened Surya-Makara-2 in 10th-from-Chandra ++ Guru-yuti-Ketu (psychic permeability) it is possible that Ronald Reagan was -- like Illinois fellow POTUS-16 Emancipation 1809-1865 Abraham Lincoln before him -- a psychic walk-in for this sudden, celebrated new Governorship of the third largest economy in the world (California). The world was on the verge of WW-3, a powerful intervention was needed, and an experienced, ego-engaged politician would have failed to follow orders. Know-nothing Reagan was the perfect fit. While others with more skill and focus would be laboring behind the scenes to make it happen, it was Reagan who presided over the collapse of the Berlin Wall, which marked the end of the Cold War and minimized the threat of the global annihilation. 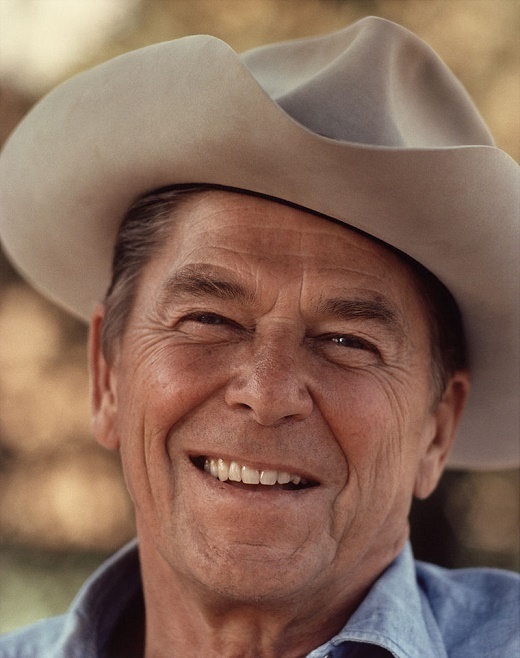 Reagan's lack of legislative experience notwithstanding, he was handsome, cheerful, and well-liked. In 1970 during Guru-Surya bhukti (Surya rules 9-elections), he was re-elected to a second term of governorship. Guru-yuti-Ketu in navamsha-10 and also in bhava-11 allowed Reagan's chuckling, disengaged persona to appear to govern with a wise look (Guru), a head of thick shiny Hollywood hair, and a camera-ready smile. Chandra-5 familiarity-to-the-public also receives drishti of Brihaspati, energizing the inclusive influence of Guru upon Reagan's familiarity with and ability to deftly deflect most forms of conflict and scandal. He smilingly parroted the ideological (Guru) views of his sponsors while much of the social service and education infrastructure of the nation was being dismantled as "Reaganomics". Zukra-3 accepts drishti of Guru-11, connoting ideological humanism and Thula-style traditional diplomacy. Zukra attractively attends meetings, short-term travel, dinner parties, and makes announcements. Not decisions -- announcements. A former president of the Hollywood Screen Actors Guild and product spokesperson for corporate advertisers (3), Reagan was a Master of the Message. A robustly photogenic communicator (Zukra-3) he took instruction (3) from political handlers as easily as from Hollywood stage directors. The revenues flowed (11). Promoted by his overseers as The Great Communicator , Ronald Reagan enjoyed a decades-long career as an announcer and product spokesman Zukra-3 . Many would say that his two terms as Governor of California and two terms as POTUS-40 were continuous extensions of his media personality representing the controlling interests of the financial elite. Reagan was famously beholden to large, financially privileged corporate interests during his entire career. He was not an autocrat. He was an actor. Reagan was well compensated for his dramatic (Surya) portrayal of an authoritative leader. Shani + Rahu + Chandra create an Endurance powerhouse in bhava-5 emphasizing the promotion of opportunistic ambition (Rahu) via steady and systematic ability to accomplish (Shani) tasks of entertainment, drama, celebrity, games (5). Rahu in bhava-5 * in swabhava of Splendid Surya, the Shadowy Specter seeks privilege via glamorous or unusual children; out-of-bounds creativity, and amplified poetic romance; Risk-rewarding Rahu generates a charismatic individuality, center-of-attention displays of creative genius. Desires a special, important role in performance arts, literary arts, entertainments, royalty roles, pageantry, celebrity events, or dramatic splendor. Exciting, opportunistic, ambitious children and lovers. Rahu the Poseur may wear the persona (mask) of a dramatic actor, a celebrated intellectual, or a politician. Craves the center stage, the lights, the glory. Rahu-5 seeks flamboyant fashion, exceptional children, and the thrill of political theatre. The extraordinary charisma that Reagan sustained from high school until his retirement, can be largely attributed to Rahu-5 the ambitious sparkling entertainer working together with Budha the conversational announcer. Both when Governor of California and when POTUS-40, the hallmark of Reagan's administrative style was his enthusiasm for the physical body and its energy, especially personal appearances and announcements. For example, when naming a new group of state department employees to embassy positions (an honor for them) Reagan personally telephoned each employee. In his diary, he mentions with some pride that no president before him had ever taken the time to make personal calls. Consider Budha working together with Rahu-3. 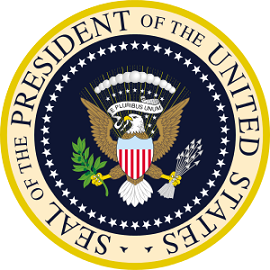 Reagan was not calling to have a conversation or make a decision; he was calling to make an announcement. Reagan intuitively knew that his personal voice was much more exciting and self-promoting than a signed paper letter. because of her ability to earn her own living and to make her own career . This alliance works exceptionally well due to Ronald Reagan's unique combination of nishturabhashi yoga with Chandra-yuti-Rahu. Chandra-yuti-Shani which imposed a Shani quality upon his treasury-acquiring Bharani-Chandra. Like most folks with Chandra-yuti-Rahu, he would have experienced an almost inevitable disconnection from the first spouse due to Ketu in 7th-from-Chandra. The Davis-Reagan union was long-lasting and loyal but non-exclusive (facilitated by his Guru-yuti-Ketu in his 7th-from-Chandra). Mrs. Reagan = Ketu-Azvini-1 allowing her own dissociative personality to mesh successfully with his disconnected relationships expectations. Ketu rules Nancy's Azwini lagna ++ Ketu rules Ronald's Mula lagna * each partner allows each other a liberating, unregulated free space. Graha yuti Surya often suggest additional father-figures..
Nancy's bio-dad was a car salesman Surya in bhava-3 Mithunaya. Although he provided her physical body (1) her parents were divorced (6) soon after Nancy's birth. He played no further conscious role in her life. From infancy until fourth grade Shani-Ketu bhukti, age 9, Nancy's maternal uncle, the husband of her mother's sister, served as Nancy's father-figure. During Ketu bhukti, she morphed into a new identity due to her Ketu-1 configuration. Mrs. Reagan recounted that for the first nine years of her life, all of her friends and neighbors believed that her foster-dad uncle was actually her father. During these years she was called by her birth name, Anne Frances. Starting with Shani-Zukra bhukti, she was called Nancy Davis. When Nancy was age-14 in 1935, she was legally adopted by her stepfather = mother's second husband, Dr. Loyal Davis. He was a wealthy Republican Party donor whose political influence was powerful .Nancy became a social debutant. 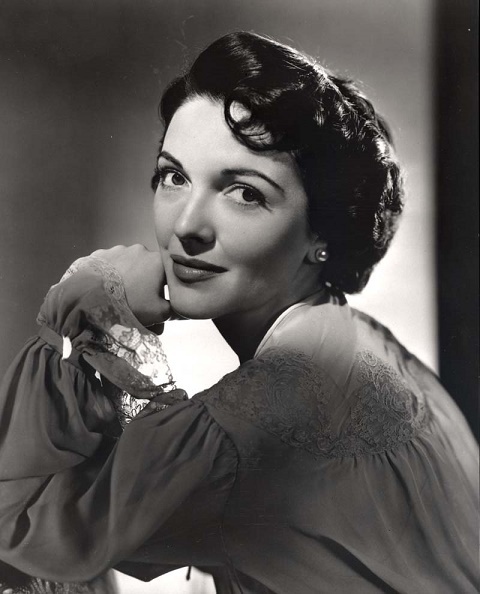 Mom was a cinema actress who first married a car salesman, quickly divorced, pursued her acting career with limited success, then re-married a political kingmaker + teaching surgeon named Loyal Davis. Chandra-Karkata occupies zero degrees suggesting a somewhat wavering commitment to motherhood by oneself and one's own mother too. Mama abandoned little Anne (later called Nancy) for nine years, to be raised by relatives. After her mother's gainful remarriage, Nancy rejoined her mother during Shani-Zukra bhukti. Chandra-4 stability Nine years of abandonment were punctuated by occasional maternal visits. Once reunited, Nancy and her mother formed a bond. Nancy's mom died when Nancy was 66 years old. A psychological behavior pattern associated with the trauma of abandonment is Borderline Personality Disorder. Nancy's daughter reported Mrs. Reagan's adult BPD parenting issues, drug use, and cruelty. 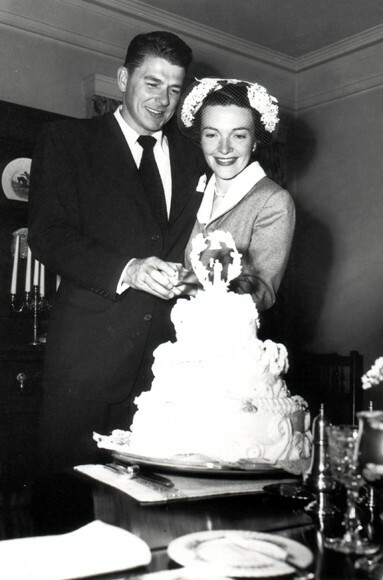 It has been speculated that Nancy Reagan exhibited the classic symptoms of abandonment-trigger BPD, including gracious social warmth and public pleasantness to those outside the family paired with angry attacks and accusations within the private family domain, along with protective adoration of the narcissistic husband, paired with vicious mistreatment of one or more of one's children. Her Guru-Simha-5 dhavakaraka occupies vidyasthana = elections, games, celebrity, entitlements. Meets the husband (Guru) in a theatre setting. Shani-yuti-Guru suggests an older husband. One signal of a compatible marriage is a match between the Rahu-Ketu axis of one partner with the radical Chandra-lagna or the radical lagna of the other partner. Husband's radical Chandra-Meza closely matches Nancy's radical Meza lagna, D-1 R-K, and D-9 Rahu-Ketu axis in Thula-Mesha. Lagnesha Mangala in bhava-3 suggests communications management, public relations spin, talking points, media-messaging, meetings, and teamwork. The plethora of graha located in bhava-3 Mithunaya indicate the highly complex relationships between staff, information, and message. Mrs. Reagan was a multi-function manager (3) of all details large and small along the path of her husband's career trajectory. She was often criticized for her micro-management perfectionism (Surya). While perceived as invasive and controlling (Kuja) her methods were generally successful in administering the numerous people and processes that she oversaw during her husband's eight years as California Governor and another eight years as POTUS-40. Nancy Reagan had some remarkable literary correspondence. She was a confidante and longstanding friend of UK-Prince 1948- Charles of Wales . The pair corresponded frequently. It was said that His Majesty felt understood by the former first lady. Her Chandra-Karkata matches his Karkata radical lagna. Her "Just Say No" anti-drug campaign was widely ridiculed however, and her communicative style was often criticized (6) as self-important, elitist, and contemptuous. During the next three years 1985-1986-1987, Reagan's Alzheimer's symptoms became increasingly pronounced, and Mrs. Reagan stepped confidently (Surya) into the theatrical talent-manager role. During Zukra-Budha bhukti, she did not ask for help and she did not accept advice. She managed his schedule and handled his communications. She hired and fired staff, including high-ranking aides and department heads, by simply telling her husband what to do, and watching him do it. There is a Ketu-scattered understanding between the two mates. Generally, he followed her instructions. Naturally, Mrs. Reagan's precise, detailed, and often aggressive (Kuja) management style alienated the people who had been elected or appointed to provide the president with information, advice, or perspective to support his executive decisions. Yet those close to the Gipper realized that he was not able to make decisions no matter who might be supporting him. Nancy was criticized for keeping the expensive show-clothes that she was given by the fashion designers to showcase their garments, and keeping state gifts from foreign leaders. However typical of a Ketu-person Nancy did not care. She was not cowed by the complaints, and she kept the fashions for later re-sale (Zukra-2 hoard). Simha-Shani is particularly associated with the difficulties inherent in regulating (Shani) the brightly lit, flamboyant, center-stage political-entertainment environments. Nancy was accused of official impropriety (Shani) because she accepted millions of dollars worth of untaxed designer clothing and jewels into her personal wardrobe inventory (Zukra-2 ruled by Rahu-7 fascinating exchanges). However, Ketu-1 in 10th-from-Chandra is unconstrained in official duty. She carried on collecting the baubles and later sold them. Nancy's mom's second husband (2nd-from-Chandra) was a political influencer. Her parents liked her husband. They were not scandalized by the 1950's gossip that he was a divorced Hollywood actor who married Nancy at the end of her first trimester; rather, her actress mother and her stepdad recognized Ron's potential as a political puppet (Mula). Over the bhukti 1952-1966 (14 years) they invested substantial financial and social resources into her husband's political career. Many recognized a repeat POTUS pattern. Recalling the 1920's strokes of POTUS-28 The State 1856-1924 Woodrow Wilson and the 1940's debility of POTUS-32 Fireside Chats 1882-1945 Franklin D. Roosevelt. In those crises, the wives Ellen Wilson and Eleanor Roosevelt, their assistants and aides, all collaborated to present a facade of normalcy to the public. Unlike FDR and Wilson, Reagan was in excellent physical health and in no danger of imminent death. Yet he had lost so much memory that he had limited judgment, and there was considerable support for the policy of maintaining the best possible facade of normalcy. Rahu in bhava-7 * in swabhava of Suave Zukra, the Shadowy Specter seeks privilege via glamorous or unusual arrangements, amplified alliances, marriages, vows, agreements; desires a special, important, brokerage role in non-standard negotiations, deal-making, match-making, contracts, and trusts. Exciting, opportunistic, ambitious partners (personal and professional). Rahu the Poseur may pose as the Perfect Partner, a middleman, a bargainer, a diplomat, an arranger, an agreeable advocate. Powerful placement for career position via instrumental alliances. 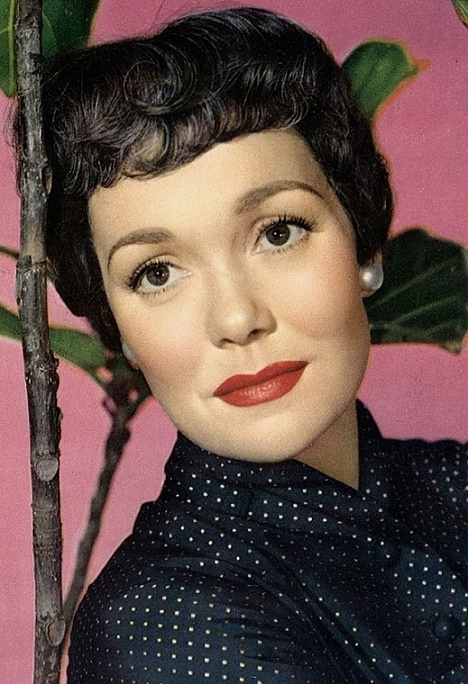 A maternal aunt-and-uncle raised little Anne Frances (later called Nancy) for 9 years while the travelling-actress mother visited occasionally. Shani-Zukra bhukti reunited Nancy with her relocated and remarried mother. Zukra rules Rahu in 4th-from-4th, another home and a fancy one. Nancy moved from her childhood home to her mom's new home in an exclusive Chicago suburb, became a socially connected young debutant, and attempted to launch a career as a Hollywood actress facilitated by her mom's Hollywood contacts Rahu-7..
Nancy endured separation from both parents for her first nine years, while her father disappeared and her divorced mother left young Nancy to stay with relatives. After her mother remarried a socially prominent second husband, the store of resources expanded. 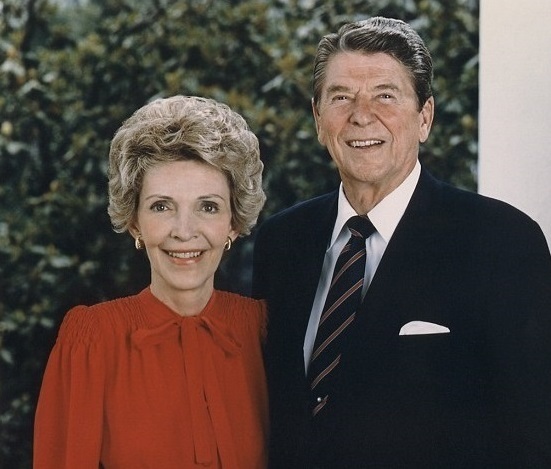 Mrs. Reagan retained the early trauma of deprivation in the form of Borderline Personality Disorder, but her physical survival issues receded. Nancy Reagan's Zukra-Ketu bhukti began in spring-1987 when Reagan's lame-duck status (only 1 year remaining in his term) meant that he was not expected to produce much effort. At the same time, her mom died (Nancy's age 66). Ketu continues to produce Mangala's results for Nancy due to Ketu-1, so she continued to provide caretaker management By 1988, his memory was significantly in decline.